Providing a great live sound for a band and audience is the most satisfying thing. Hearing comments about how good the sound was is what we live for! Pukka PA Hire use sound equipment capable of providing all the punchy low and sparkling high frequencies where music speaks to an audience. Your show could be in a hall, pub, theatre, nightclub or at a festival – we’ll tailor our equipment to the venue and the style of music. We’ll keep things moving smoothly from get-in through until the end of the event. We relish working with bands to provide an environment where transmitting your performance to an audience is a joy. Soundchecks with us are friendly and efficient while taking care of your live sound in a personal way. We like getting to know artists’ stage preferences and tastes. 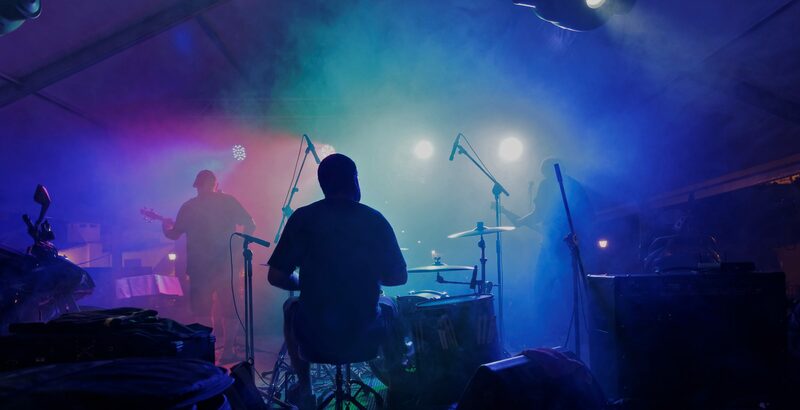 Saving our acts’ mixes from show to show, we build your live sound and refine the essentials each gig. Our ears are on the details and we enjoy the challenge of placing your sound in tonight’s venue with all its possible challenges. We’ll give you style-appropriate sound. As a starting point, PA systems and microphones tend to sound like rock music. In the hands of an experienced engineer we believe live music should faithfully represent its style. In the case of dance music or rock, it’s great to move a lot of air so you can ‘feel the bass’ (a decent system will do this by default). We’ll filter the live sound of more acoustic styles to keep it sounding natural and full through the PA.